Dim Mak. The English translation of the Chinese term comes out as “death touch” or “touch of death.” Dim Mak exists in a gray and murky area filled with rumor, legend, and conjecture. 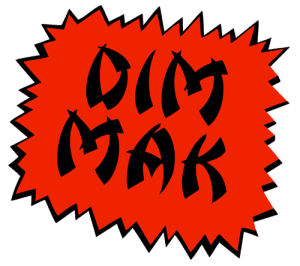 There are so many questions about this subject, but when it comes right down to it, the most common questions are, does Dim Mak exist? and is there such thing as a death touch? First of all, let us discuss the origins of Dim Mak. Some sources indicate that in some form or another Dim Mak existed as long as 500 years after the birth of Christ originating with martial arts legend Zhang Sanfeng; other sources date it back even further. It is said to be adapted from Traditional Chinese Medicine. Traditional Chinese Medicine offers explanations on the relationship between humans, their environment and the cosmos and reject ideas concerning magic or spiritual forces. The theory behind Dim Mak comes out of this with an emphasis on techniques that are meant to attack meridians (paths upon which acupuncture points fall on) and pressure points. The application of these fighting techniques are meant to be able to incapacitate or kill. Dim Mak techniques are also meant to attack systems with the intent to block, disrupt, reverse or decay what would be called the body’s “Qi” (a word used anciently to describe various physiological functions). Anyone with a working knowledge of at least high school biology knows that our bodies are ecosystems unto themselves. For instance, a blood clot in one area of the body can travel or break up and have pieces of itself travel to another area in the circulatory system and cause a massive disruption. Repeated striking of one bruised area on the body could potentially be one cause of this; although there are a great many other possibilities as well. But now we will shift our approach on Dim Mak to the one thing that makes it fascinating to anyone: The death touch. Are there places on the body that can be hit that will cause instantaneous death? Well, yes. By using pressure point attacks, for instance, an opponent could potentially be killed with one strike. 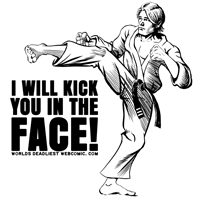 But an emphasis must be placed upon the word ‘potentially.’ Pressure point attacks in martial arts tend to use the practices to cause pain withdrawal, breaks, hyper extensions, affect blood pressure, or concussion. However, we must remember that Dim Mak was made popular in martial arts fiction. In said stories, the use of pressure point attacks is highly exaggerated, making the actual practice of Dim Mak extremely susceptible to counter arguments. With all of this laid out before us, we can now investigate the claims of the touch of death. One reported Dim Mak attack is the use of a direct hit to the forward part of the neck just by the pulse point of the carotid artery. Is this a potentially lethal blow that can be done in one move? Yes and no. With enough applied force, it could collapse the trachea, cause the body to change in accordance to perceived blood pressure and affect the heart. Unconsciousness is a possibility, maybe even the rupturing of the artery. But can this blow cause an immediate stroke, or have a direct and immediate threat to the gallbladder? Without the subject having pre-existing medical conditions the answer is probably not. It is in looking for a story to tell where Dim Mak really flourishes. From the 1960s on (when the martial arts films really started to gain popularity in western cultures), there have been various claims made of the discovery or applications of the technique as one unto itself. While Dim Mak may have certain applications in reality, the idea of a death touch is largely refutable. Dim Mak makes for great stories. But as for an actual application as a fighting style, stick with what is established. And when using it in storytelling, ground it in at least a plausible reality. Kelly, Michael. “Introduction.” Death Touch: The Science Behind The Legend Of Dim-Mak . Boulder, CO: Paladin, 2001. N. pag. Print. Kaptchuk, Ted J. “Chapter 2 / East and West: Two Ways of Seeing, Two Ways of Thinking.” The Web That Has No Weaver : Understanding Chinese Medicine . London: Rider, 2000. 1-7. Print. Death Weapons of the East. Dir. Tom Dumican. Wild Dream Films, 2009. Online Video. Adams, Cecil. “Is the “ninja Death Touch” Real?” The Straight Dope:. N.p., 21 May 2004. Web. 05 Jan. 2015. The Deadliest Man Alive. Dir. Floyd Webb. The Deadliest Man Alive. Cinelanfilms, 8 Jan. 2009. Web. 05 Jan. 2015.